So before I headed to Japan everyone I spoke to told me just how hard it was going to be for me to get around each city. After spending almost two weeks in Japan I have come to the conclusion that this is a bunch of rubbish this is why. 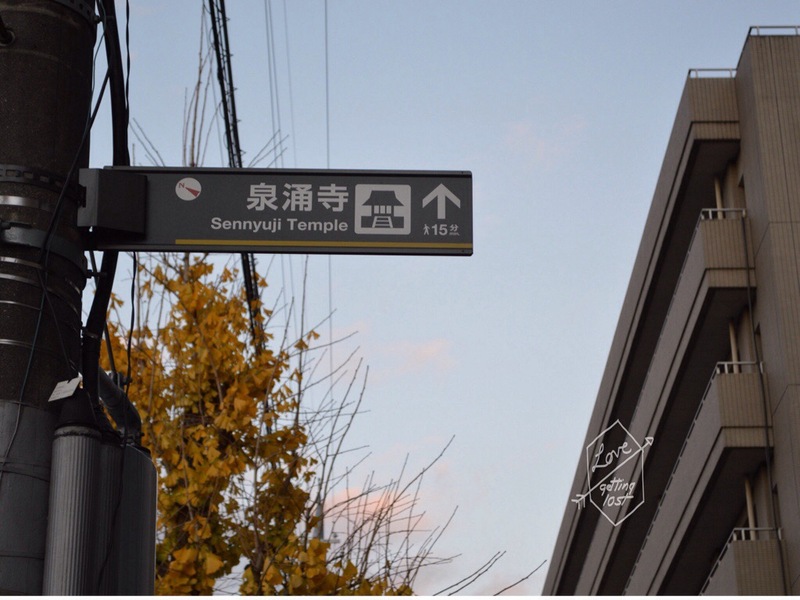 Lets start with Tokyo. Pretty much every city you go to in Japan will have a pass card system for public transport in Tokyo it is the Pasmo card and Suica. There is a number of different train operating company’s in Tokyo hence the two different cards but they do the exact same thing. They are easy to get at any train station. Just head to the ticket booth and hit the button that says English. You will then be able to follow the props and out will pop a card. Its also useful to know that if you hand your card back in at the end of your trip you get a 500yen refund (woo). I am such a fan of Google maps app. I use this to search for what I’m looking for and the route on how to get there. There is also City map which I have used in Europe but it didn’t have all the train line option for Tokyo. They both also save your last searched trip so you can view it off line (great feature I know). GPS on your smart phone also dosn’t work via wifi so you will see yourself as the little blue dot moving on the map. This means you figure out pretty quick if your going in the wrong direction. Most countries I would say if you pop into McDonald while out an about you’ll get free internet and a chance to search a new destination in Google maps if you care sick of exploring (really how could you in japan though). Unfortunately there is no free wifi in McDonald’s in Japan. The bonus is that there is free wifi in every Starbucks and they are everywhere (that isn’t and exaggeration either). I usually logged on with Facebook and there is an English button so the props are easier to follow when logging in. I have to say that I have always found trains pretty easy to manage and Japan had endless signage in English and usually had a screen above each door of the train telling you what the next stop was and showing you every stop that train would make. The only difficulty I found was Tokyo train stations are huge and therefore have multiple exits. If your heading some where in particular make sure you Google which station exit to take ( I didn’t have an instants when the right answer didn’t come up). The buses are just as easy. Google map will show you where they are (they look like every bus stop anywhere in the world). 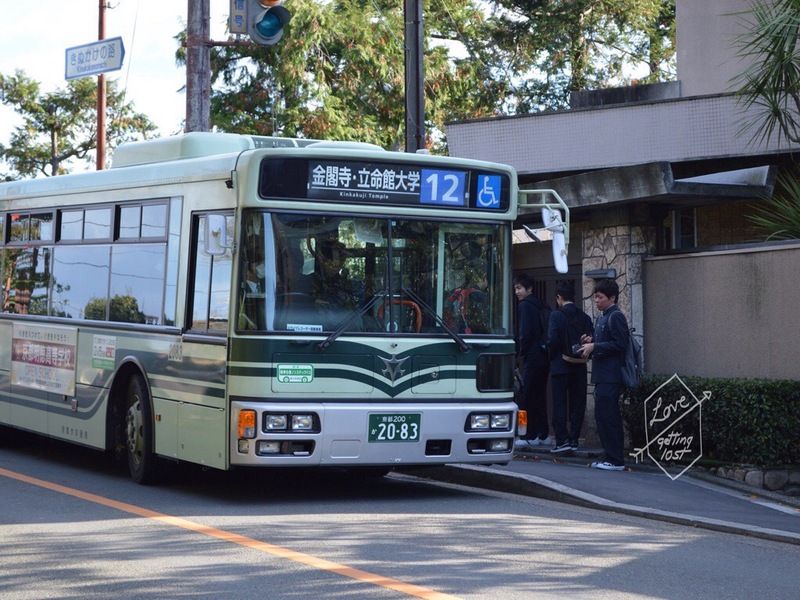 Each stop will have signage saying the name of the stop in English, the bus routes that stop there (All the buses are numbered so don’t worry about memorizing characters) and also a timetable. On the bus again there is sign near the driver that tells you what the next stop is in English handy hay. So Kyoto and Osaka where pretty much the same. 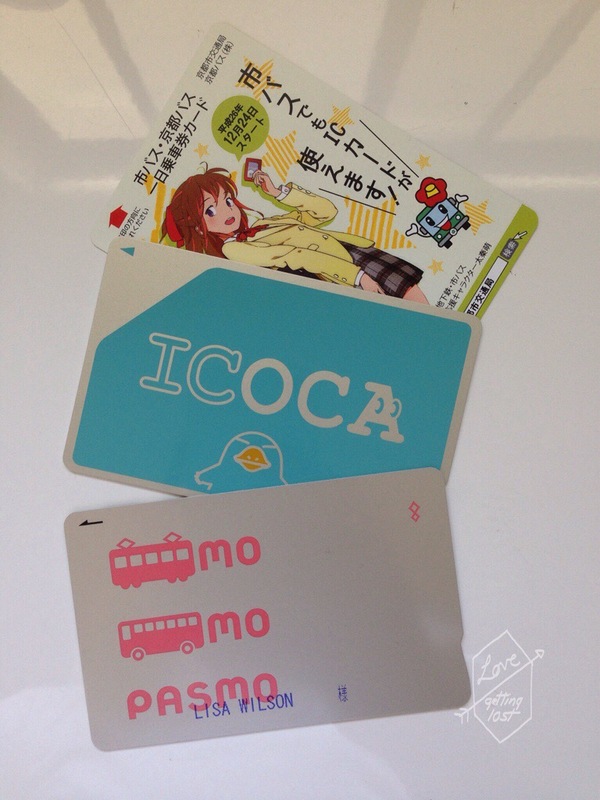 The travel card in Osaka and Kyoto is the ICOCA (it has a cute little platypus mascot go aus!!!). In Kyoto I opted for a Day Pass Bus Card. 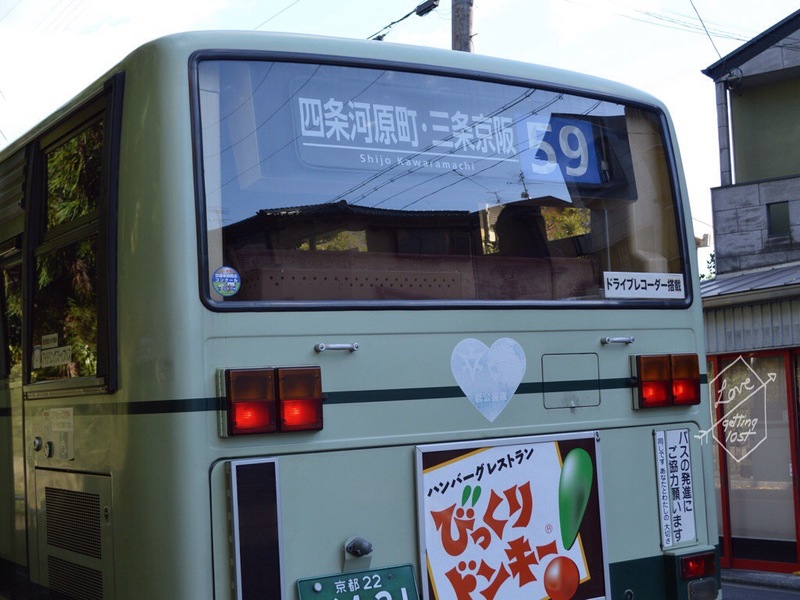 You can buy them on any of the buses and they cost 500yen for the whole day. 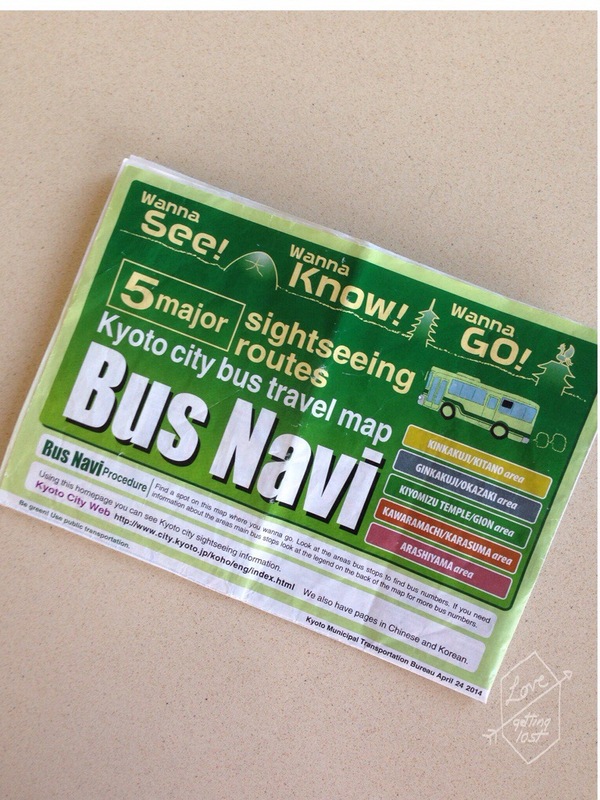 You will need to get a Bus Navi Map. The bus map was so easy to follow and even had all the major sights highlighted. For 500yen this was by far the best deal and the furthest I had to walk to a site was 20min ( and there was only one so far away). 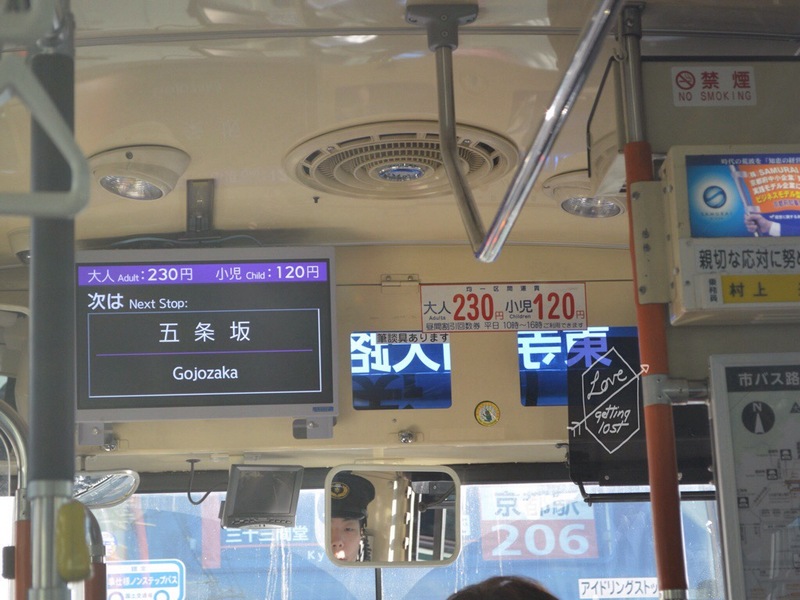 Again all the bus routes where numbered and there was screens inside with the next stop in English.